* Avoid sailing if you're not confident with the weather conditions, even if you're surrounded by other participants and water safety crew. * Don't rely on an organised event to keep you 100% safe. * Don't always trust other people's safety equipment and processes, you don't know that these systems are adequate. I decided to enter Sail and Kite Across The Bay after seeing a good wind forecast on the Monday preceding the event. The wind forecast weakened by the Friday to very marginal and decaying conditions. I would never consider windsurfing in these poor conditions normally especially for a long distance sail. A friend and I asked to borrow a big sail (for sailing in light winds) from each of the local windsurfing stores and finally struck some luck from Wassup Oz (RRD dealer) in Chelsea. He kindly lent a large 7.8m cam sail (normally used for performance flat water speed sailing). Safety briefing that included no reference to windsurfers. GPS trackers issued and told that we would be rescued if we hit the red SOS button. At the Seaford start line there was about 60 kite boarders and a couple of windsurfers waiting on the beach for some wind to arrive. A puff of wind arrived and people started sailing towards Port Melbourne with no official start communication. I was flying along overpowered and overtaking some kiters, trying to manoeuvre the board over waves with a powerful sail in my hands. I thought that I had a chance of making it to Port Melbourne if this wind held strong and if I could hold on for more than an hour. I had a sense of security that we were all in good hands with jet skis, rescue boats and a personal GPS tracker. The wind slowly weakened and this meant standing on a balance board that while holding on to about 10kg's of rig. I held on for about 30mins in the hope that more wind would arrive, which would allow a faster and easier ride to the finish line. Of course.the wind dropped out, so I sat on my board and waited for a while. A few brief little puffs of wind came by and I tried to water-start (lifting the sail above my head, using the wind power to lift me onto the board). After several attempts of water-starts I was exhausted and decided that the only way to land was with assistance. I pressed the SOS button several times on the event GPS device to request for help, hoping that the device was working. There was no light or beep to A) Confirm power or B) Confirm the SOS was sent or received. I later discovered that my SOS signal was the first received for the event followed by more kite boarders. Jet skis were sent to rescue me and other kiters near Black Rock and they did pick-up the kiters but forgot about me and continued with their activity. The event staff had no confirmation process to confirm rescues or whether or no people were on land or water over the 40km stretch of land where people were landing. Started to get concerned as there was no sign of any rescue craft. Luckily..I had a brand new personal EPERB!! (GPS communication/tracking device).
? 2nd message to my wife: 'I need help but not SOS' + my GPS coordinates. At this stage, I didn't know whether to expect helicopters, ships, boats or jet skis to come..no sign of rescue. Nothing more than a couple of interested birds searching for dinner. I sat on my board feeling a bit dehydrated and progressively getting colder. My wife Kate was receiving the messages from the new EPERB with GPS locations every 5-15 minutes and had no idea how to help. She attempted to contact the event organisers but there was no contact information available. After calling me and confirming I was stuck and needed help, and calling anyone she knew was in the event, she decided that there was no rescue underway and the only option left was to call 000. The call was eventually referred to the water police who called my wife and them myself. The water police, aware that there was an event in progress, called the lifesaving club that was supporting the event. They had packed up for the day and were blissfully unaware that they had left someone on the water pressing an SOS button. They were instructed to put their jet skis back in the water. They were searching for me based on a rough description that I was 500m offshore from Black Rock near the yacht/life saving club with blue doors. It was a real surprise that they couldn't use GPS tracking, given that I had two GPS devices on me and it is common technology. After much searching with four Jet Ski's I was eventually picked me up with my windsurfing gear. Made it to land after 4 hours of sitting out on the water. Despite this sail being part of an organised event, it turns out I was completely unsupported and totally on my own. If I hadn't taken my brand new EPERB out with me, I wouldn't have been noticed missing until dark when I hadn't returned home. Given that it was an event with a BBQ at the finish line, my wife wouldn't have been alarmed at my absence for some time. If my rescue had have been left to the event organisers, I would for sure have been stuck on the water until at least after dark and possible longer. (I also had my phone with me, which I have never taken on the water before. I could receive phone calls but couldn't make calls without taking it out of its waterproof casing which would have resulted in it getting wet there soon after, leaving me with no inward or outward means of communication). Thanks for sharing your experience... There is a few lessons to be learned. Dumb question: was your board not big enough to uphaul and sail to the shore? Another dumb question: did you try to swim your gear to the shore or attempt to bum-sail i.e. lift the sail up as much as you can using the board to as support to ease the strain on your arm? I think the organisers should take your input and come up with effective responses/solutions to avoid what happened to you to happen again.. Also they should contact you at least out of courtesy. Yeah - that's quite appalling. The event should never have gone ahead. There's needs to be a thorough review given what could have happened. The windsurfers were always going to be the first to lose power as the kiters can sail in lighter winds. You should have been the first picked up. I hope the event organisers are reading this. I like your idea of sailing with a phone I will use that one on days out to the middle of the bay or across the bay. Great you had all the safety gear and the organisers did as well ,almost. Just adding to the "self rescue" them. I broke a mast back in the fibreglass mast days. I was 1.5 to 2km offshore. I'd read in a windsurfing mag about what to do. I de-rigged in choppy water (no way I was leaving a brand new Neil Pryde Combat wave). Ditched the broken mast, lay on top of the sail and boom and started to paddle. Felt like it took me 2 hours, was probably more like 45 minutes. I was knackered when I got back, but I got back. This was well before mobile phones, EPERBS and GPS. Overcast, rainy day. So no-one on the beach and therefore no-one knew I was out. It was paddle back or sit and wait and hope. but was it really necessary to ring 000 or the water police ? If no one responded to the organiser's SOS unit I'd call 000 too. That's what people in trouble do, injured or not. Are you really "in trouble" being 500m out sitting on a windsurfer. ive seen 80year olds swim further in the middle of winter in nothing but a pair of speedos. At one stage from Aspendale beach I counted 13 kites down in the water struggling to launch spread from Seaford to Black Rock, probably more around the point I couldn't see. There appeared to be very few support craft other than a few jet skis, not sure how they were going to transport people in need?? unfortunately the event attracts people looking for the adventure but with no where near enough experience to complete it should things not be perfect. Did you pack down your rig at all and start to paddle, I have to agree with Harry, 500m of the shore is well within range of a self rescue. I'm glad you are OK. Very interesting reading. I would like to add my storey just to balance the topic out a bit. Note I am not here to disrespect or disregard the OP's experience. Yours was obviously more traumatic than mine and could of had a much worse result. I too participate however I was on a kite and twin-tip. Just like the OP I was left with no wind and unable to relaunch. I was about 5km off Parkdale and spent a good 1.5 hours trying to get going again. In that time I sent away 2 jetskis and 2 boats telling them I was not in immediate danger, didn't require assistance and was happy to wait for the wind. As I started to pack down one of the life saving guys on jetski came past and offered to take me in. I happily accepted the ride. There were another 4-6 guys on the beach at Mordi Life Saving club all of whom were towed or got themselves it. At no time did I feel like my life was in danger. I was wearing a full 3/4mm wettie and an impact vest to give me a little more buoyancy. These are all recommended by the organisers as a minimum. Whether people chose to wear them was up tothe individual. -It was up to you as a participant to be able to get yourself into shore in NON emergency situation i.e not life threatening. This was a prerequisite of participation. - If your life was in immediate danger or you needed medical attention you should use the SOS button and a water craft would come get you. In this situation is was expected that all your gear would be left behind as the priority would be to get you to shore and give any medical treatment you may require. It was also stated that getting past Ricketts point was the hardest part so the rescue vehicles would be concentrated in that area. Once you got past Ricketts it was expected that you would ride a short distance from the beach as youprogressedto the finish. This was to keep people in range of the remaining available water craft,discourage people from heading out to the shipping lanes, and thus forcing the water craft to cover a larger area. My only criticism really was that it was a bit hard to hear the briefing and perhaps they should have used a bull horn or similar type device. -One of the boat drivers asked if I was ok and mentioned they had received an SOS from one of the tracking devices but hadn't located the owner. Apparently it was triggered accidentally. -My missus was standing on the spot my tracker was supposedly located when I came in at Mordi Life Saving club. The tracker was showing me as being on the opposite side of Mordi creek to where I actually was. - I believe these devices are GPRS based so rely on mobile towers to get their location when used with the mobile app, rather than using GPS co-ordinates. Perhaps with this level of inaccuracy the organisers should consider an alternative. Even my old iphone was giving a more accurate location. So other than the lack of wind and the disappointment of not actually finishing I thought the whole experience was good and the event was pretty well planned and executed. Obviously my experience was very different to the OP's but as mentioned earlier I just want to give another opinion. Regardless the organisers should do a proper risk assessment on the days events and apply those learning next time. Information the OP has provided is priceless when doing real world risk assessments. The most critical issue in my view is the one related to the SOS button.. Clearly that wasn't a fail proof process and it should be in a well organized event. I would be stating the obvious but when someone calls out for emergency it needs to be detected, responded to asap and formally closed out and recorded. If OP did not have his other devices and was in a time sensitive emergency e.g. losing blood, hypothermia, heat stroke, etc...it would have been a disaster. I've sat quietly in the background reading to the varying opinions being presented, people passing judgement on the organisers and safety procedures. All of this is based on partial facts, and the whole story needs to be taken into consideration. 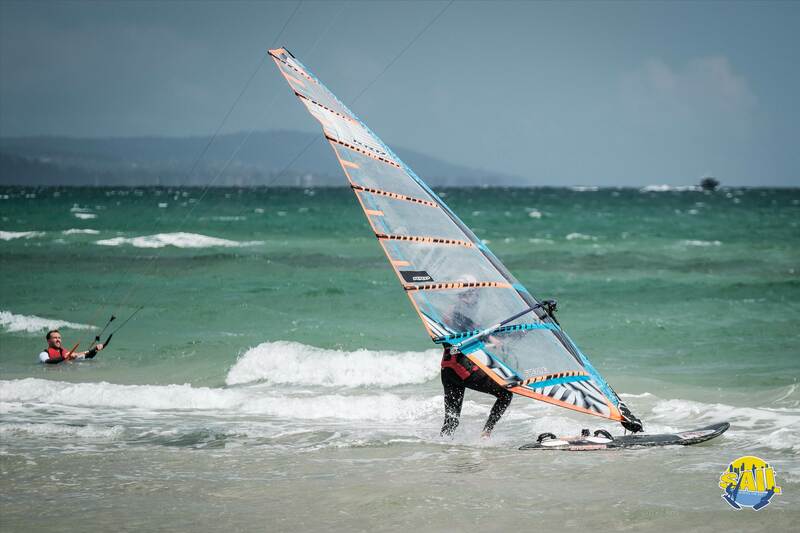 a) Windsurfing is heavily reliant on unpredictable conditions. Scheduling a major event around a forecast is quite risky and it really comes down to what happens on the day. Sometimes you need to take an educated guess and hope for the best, and this sometimes results in events not happening and people losing interest. b) Red tape and Logistics. Executing any event that is dependent on multiple factors coming together is extremely challenging. Not only do you have to make sure that you have all necessary permits in place to execute the event, you need to makes sure that you have thoroughly documented all safety procedures, risk plans etc... in order to get insurance so that you can get the permits. This comes at considerable cost to the organisers and can result in a net financial loss to the organisers. 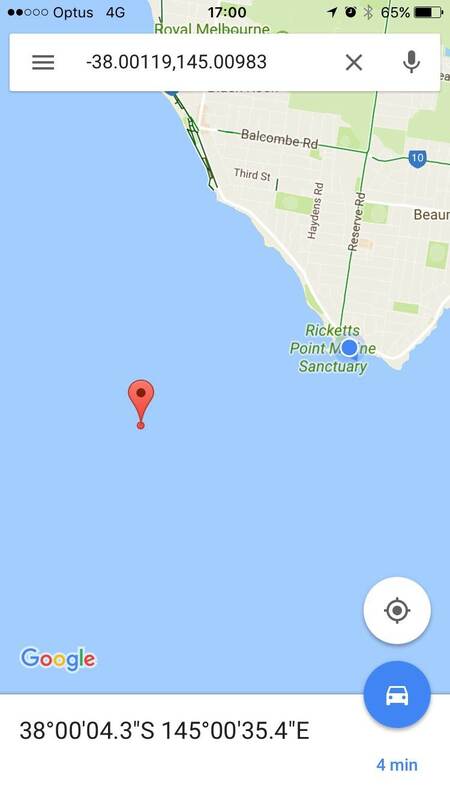 Ask yourself why we don't have a breakwater to beacon, a wave sailing series or any other significant event in Melbourne. c) Tall Poppy Syndrome. People are quick to judge others. Windsurfers rarely put themselves out there to help with an event. Windsurfing Victoria very little, and while we are all quick to complain there are no events, there is no one put themselves out there for the fear of being ridiculed and judged but others who seem to 'know it all' and have a wealth of advise on how things should be done and what the weather is going to do. Well done on your insight, it's a pity your hand wasn't up before the event, bravo, well done. 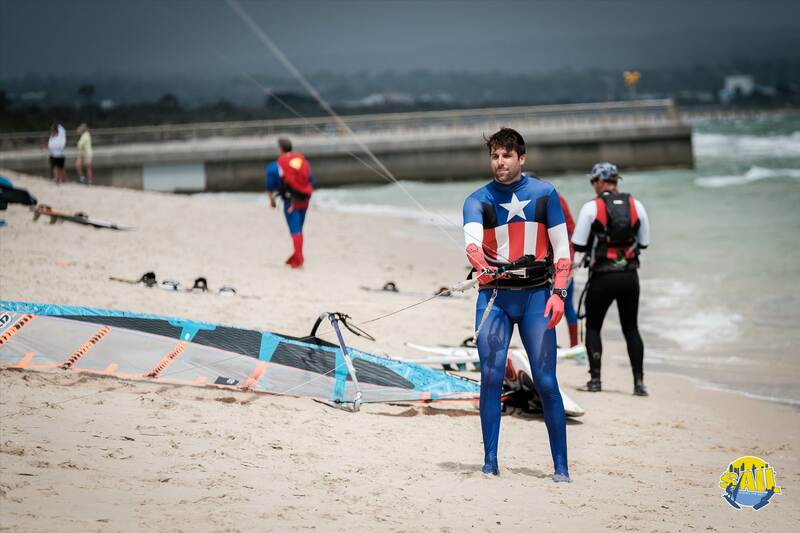 d) As windsurfers are not a growing quantity, the only way in which we can ensure that we have any events is through coming together with kiters and other like minded clubs (sailing etc...) to run events. Its only though critical mass we can make running events feasible. Executing an event is extremely challenging and there practically no way to remove all risk from the event. The event requires entrants to use their judgement and experience to get out of situations of danger. When risks are calculated its usually based on a calculation of risk x likelihood=residual risk. A risk plan does not need to be 100% effective. It needs to cover the residual risk. So in effect of your risk plan covers a residual risk of 60% then thats good enough for the insurance company and the rest. What this means is that if your procedures can cover the rescue of 60 out of 100 people then you have fulfilled your obligation. On the weekend in question all this was challenged. I personally raised that was a bit skeptical of the forecast and would have preferred the event moved, but the decision made by the organiser was to press on, which in hindsight was perhaps not the greatest decision and can be discussed in greater detail. [flamesuit on] I think that it is this where the improvement needs to be made as the organiser is bias and needs to remove himself from the weather assessment. There needs to be an independent person from the BoM or other providing an independent assessment on the conditions for the duration of the event and the decision to execute this should therefore be independent. Of course this will not thrill the organisers as they have invested time and effort to running something that they have no power over execution, this will ultimately protect them from any fallout should the conditions fail. Testament to this is the fact that 90% of the entrants could not reach the finish, which pretty much confirms it was a bad weather call, but these things happen. 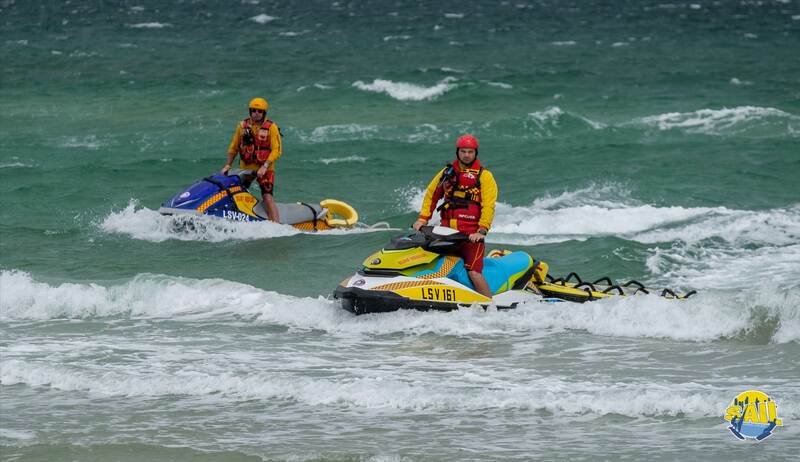 Another element was that the lifesaving clubs packed up while people were on the water. This is probably a lesson learned and if the lifesaving clubs agreed to support the event then they should have stayed back to ensure that everyone was accounted for. I am sure that the organisers will be having words about this and provisions will be made in the coming years event should they decide to continue with it.Signoff as I understand was achieved through handing back of the GPS tracking device. The organisers did not leave the finish line until everyone was accounted for so I am not sure how far I'd go criticising this. Things inevitably go wrong, and rarely do things (no matter how well organised planned and managed) go 100% to plan. There is a reliance in events such as these that the participants are psychologically, and physically prepared for the undertaking. Not only that, but they come equipped with the right tools for the job. Which brings me to Simons adventure.Simon came to the event with a 6.5m sail and a 106L wave board and no uphaul. I told him that this would not be adequate for the conditions so we spent the morning driving around looking for someplace that could lend a larger sail. As Simon mentioned in his post Dan from Wassup lent him a 7.8m cammed race sail which was much better. Dan also offered a large freeride board which Simon declined. At this point I had not seen the board that Simon thinking it was a freeride board, when in fact it was a Wave board with a small raked back wave fin. I had offered Simon two of my large slalom race fins which were of no use because as it ended up the board he brought was not a free ride and rather a wave board so it had a US box fin and not a tuttle. Once we arrived Simon rigged up the sail which took 3 attempts as Simon was not familiar with the proper way to rig a fully cammed race sail and with the help of Spotty tuned it for use. Simon also did not bring an uphaul. Spotty lent him a outhaul rope which Simon attached to the boom, but it was a little sketchy. It would be of little use anyway, given that the 106L would be a sinker under the size and weight of this fully cammed race sail. Needless to say the wind did not do Simon any favours on the day and when it was blowing he was OK, so once he dropped that massive cammed race sail into the water it was not coming out with any ease thanks to the size of the board supporting it. Simon was floating about 1.5kms off Rickets and one of the reasons that I expect he was not picked up earlier on was that a sail in the water is a whole lot less visible than a downed fluoro kite. Which sits above the water. If Simon had a large enough board (and proper uphaul) he would have been able to keep above water and putt that distance easily to the nearest shore line. If Simon felt this was not possible, then the next thing to do would be a deep water de-rig, lie on the gear on the board and paddle to shore. At the very least remove the sail from the board and do the turtle paddle back. I don't think that any of this was done. Any other day as sailors we could have experienced the same thing sailing on our own, and getting caught out 1-2kms offshore when the wind dies. This is a risk we take whenever we windsurf and it sometimes happens. I have done the Bonbeach to St Kilda sail several times now (solo) and each time I have picked up some new learnings of my limitations as a sailor which I have learned from. It's through these learnings that we develop better instincts for dealing with stuff when things inevitably go wrong. While I don't want to trivialise what Simon went through, much of this could have been prevented should he have prepared himself adequately for the event and not relied on the organisers risk management plan and emergency procedures for a rescue. A lot of the risk that he put himself into was as a result of his own decisions and actions, and lack of judgement and experience. Simon and his wife had quite a scare that day, and it seems from his account that he has learned some key lessons, however what people seem to have got from his story is the need to criticise the organisers and those associated with the event which I know does a hell of a lot of good for anti-cancer fundraising than any one individual in this forum. If this event were cancelled then the losers are not only Windsurfers and Kitesurfers but also children suffering from leukaemia. So before we all start passing around blame who was responsible for the events last week, do a retrospective and think about what you can have do in order to minimise the risk to yourself. And if you are still not happy with the risk, then take up golf. For future events, hang gliding and paragliding competitions always start off with electing the task committee, the safety committee and the protest committee. They are experienced people who will be in the event who decide, where we go,whether it's considered safe, and handle protests at the end. They provide advice to the comp director and safety director. It's only advice but it would be brave to completely ignore that advice. Doing this means that it is not just the organiser making decisions. The riders have a very visible presence and participate in all the critical decisions. The only problem with this system is that the task committee are generally elite pilots and they don't always take the needs of the rest of the field into consideration. On the other hand, the safety committee sometimes has nervous nellies who call warnings at the first sight of some turbulence. Other stuff, rule one of windsurfing is rig the sale for the gusts and choose the board for the lulls. The same rule applies to kitesurfing to an extent. Going the other way round is asking for trouble. Even worse, fully cammed sails fill up with water and can be impossible to get up in light winds. Riding downwind in light winds is a highly technical activity. By default you're burning half your apparent wind by trying to ride with the wind. Deliberately choosing to have a downwind event is quite perverse unless the wind is very strong. At the time of all these people drifting past with kites on the water, we were riding and having good fun at Hampton, staying upwind with ease and enjoying ourselves. Firstly I would like to say that the organisers have done a great job getting this event going and I hope it gains support and momentum. 1. The distress signal did not result in rescue and this needs to be remedied. 2. There needs to be accountability as to who has made it and who has not and what should happen if not. Last year I entered the event. I did a lot of training. I did long upwind runs from St Kilda to Elwood and then flew dead downwind for practice. It is hard/very hard going downwind. So event day I was nervous but really excited but the wind was not ideal. It had too much southerly which meant a lot of downwind and a bit light too. I had issues with a batten that appeared broken but was actually an issue with the cam in the sail. Fixed later in the shop. Nobody on the day knew how to fix it but experienced guys thought it should get me there ok. During the event I fell on my sail wobbling in zero wind and actually broke another batten. So after 1 hour with a partly defective sail, not enough wind I limped to near Rickets Point. At this stage I had been on my own the entire time as the guys on formula gear were gone. I made the call to pull the pin but in no fear of my safety. Had I got around the point the wind was there but I didn't know. I made it to shore easily in very little wind. I called someone to collect me in my car as I arranged my own support person and took my phone with me on the water. I then loaded up and drove to the finish line. The only issue is there didn't seem to be any checking on my progress. Organisers would have no idea I pulled out for ages unless I told them (I may be wrong here though). My advice would be a different system here. Maybe an elite sailor trail the fleet or a tinny to check how everyone is going and do a count to ensure all have made it like in diving etc. If someone is not accounted for they are missing! This year injury meant I haven't had enough time on the water so I couldn't give it a go again. My advice is to anybody doing it to actually have a go at going deep downwind first. I may have made it that day but you need to have all things going right for you. I initially thought my gear was adequate but I think I would re-consider something even bigger in terms of board size next time, though it would have been fine if I got to that bloody wind line. Well done to those who had a crack this year it is not an easy thing. If you're going to sail distance races or sail offshore carry a flare(s). I think this is law in most states? Especially as someone mentioned that when in the water a windsurfer is hard to spot. I cannot believe that a public internet forum is the first choice for discussing this. OP - have the organisers been given the opportunity (i.e. an email and a few days) to comment on your experience prior to posting? "What if my mast breaks here?" PS To further extend the hang/paragliding competition rules, each task has a check in time. You are obliged to check in with the safety director. If you don't check in then you are assumed to be lost and search and rescue is commenced. That includes calling the police. Obviously common sense is used and phone calls made etc, but if you're not located in the pub then you get rescued. To assist in this we carry SPOT or Delorme satellite trackers. They accurately monitor your position and you can call in whoever you want, or emergency services. They're much better than sim card based systems (which are big in Europe where there is phone signal everywhere). Despite all the safety equipment and rescue boats in the world, if there is no wind or its unreliable then the event is going to fail. You could see early in the week the forecast was looking shakey at best. Even on the day a few westerly gusts (odd wind for that time of day) were not going to help. A solid seabreeze was needed and it wasn't coming in. And they usually don't come in until 4pm. Yet they keep starting the event at 2pm which is probably the most windless part of any summer's day. I understand all the he amount organising and planning to do and its always going to be a tough call. A tougher call would have been to call the event off, but sometimes I wonder if the hoopla is more important than the riders who end up floating around the bay like gullible ducks. Driving up beach road that afternoon was cringeworthy. Some really good points here and I'm glad we are having the discussion. We're a civilised group and the bottom line is this is about windsurfer safety. I take the point that Simon could have done more for his own safety. It's true, he could have. Many of us have de-rigged in deep water and paddled in, from Simon's point of getting into trouble, he could have done that and been back onshore in less than an hour. There are still a few issues that the organisers should consider as part of an event review. Simon activated his GPS for help and it took 4 hours to arrive, that was too long. The event probably shouldn't have gone ahead, from what I've read and from my memory of the afternoon, the wind wasn't there. At the very least, they should have waited until later in the afternoon to see if it filled in. This isn't about kicking the organisers, it's about trying to improve some of the risk management of an extreme event. If we can't learn from when things go wrong, we never get better. Safety should always come first. I hope the event goes ahead, but with some more rigor around risk mitigation based on what was learnt this year. I also think the event organisers should at least reply to Simon (and for all I know they have). Guessing if you're responding, they know about the discussion here and on Facebook. firstly what did you think was going to happen on a westerly wind..it will blow all day for the first time ever and 2nd why did you not de rig out there.you would have been able to paddle 3 to 4k in 4 hours depending on currents.